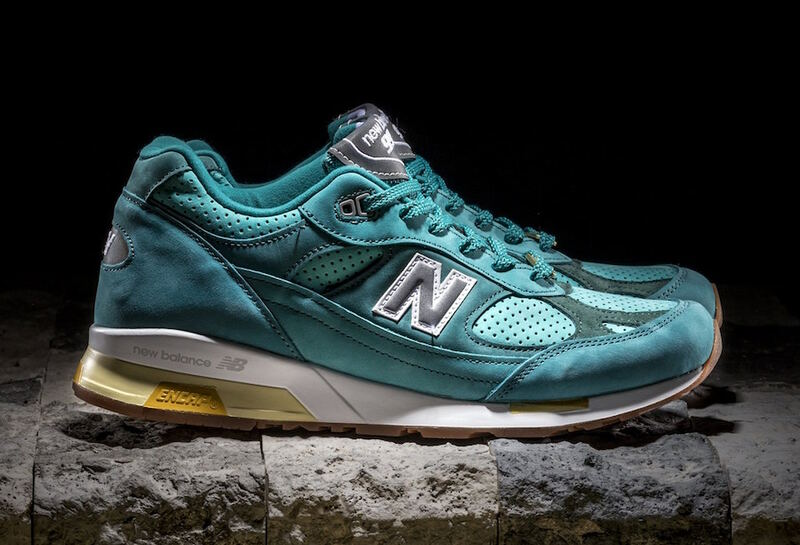 Concepts and New Balance are teaming up to release their latest collaboration on the Made in U.K. 991.5 dubbed, “Lake Havasu.” This project is inspired by the bizarre story of an American businessman relocating the London Bridge to Lake Havasu, Arizona, as a tourist attraction. The New Balance 991.5 features premium suede and nubuck uppers, reflective hits on the high-quality mesh tongue, heel tab, and “N” logo, White midsole with Gold and Tan panel highlights, Gum outsole, three colors of shoelaces, special Concepts lace lock, and custom box. Manufactured in Flimby, England, this collaboration represents the final installation in a year-long partnership between Concepts and New Balance, spread across seven different releases, all with extensive back-stories. Look for the Concepts x New Balance 991.5 “Lake Havasu” to release on Friday, January 19th exclusively at CNCPTS.com. The retail price tag is set at $250 USD.